"This business about graceful exit just simply has no realism to it at all." As the end of the Bush era approaches, the legacy is clear: George W. Bush is a wartime president. His enemy, battered but not defeated after repeated surges: the English language. 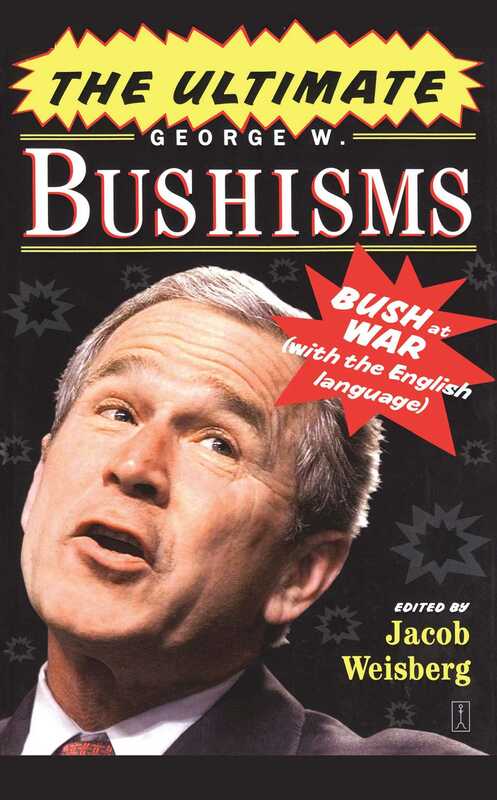 The ultimate edition of George W. Bushisms captures this legacy -- from the Gulf Coast to Iraq and back -- with all-new pearls of wisdom and the twenty-five greatest hits of the entire presidency. "I think -- tide turning -- see, as I remember -- I was raised in the desert, but tides kind of -- it's easy to see a tide turn -- did I say those words?" Jacob Weisberg is the editor of Slate magazine and three previous editions of Bushisms. He lives in New York City.